Getting a full motorbike licence in the UK - known as a category A - opens the door to one of the most exciting and liberating experiences going, but doing so can seem offputtingly complicated. Never fear, though – MCN is here to cut through the jargon and make it easier than ever to start your life on two wheels. Latest news: in December 2018 the Driver and Vehicle Standards Agency (DVSA) changed the law for what constitues a cat A bike to take your test on, and now it's classed as one with up to 67.1bhp with a minumum kerb weight of 180kg. How do I pass the CBT? 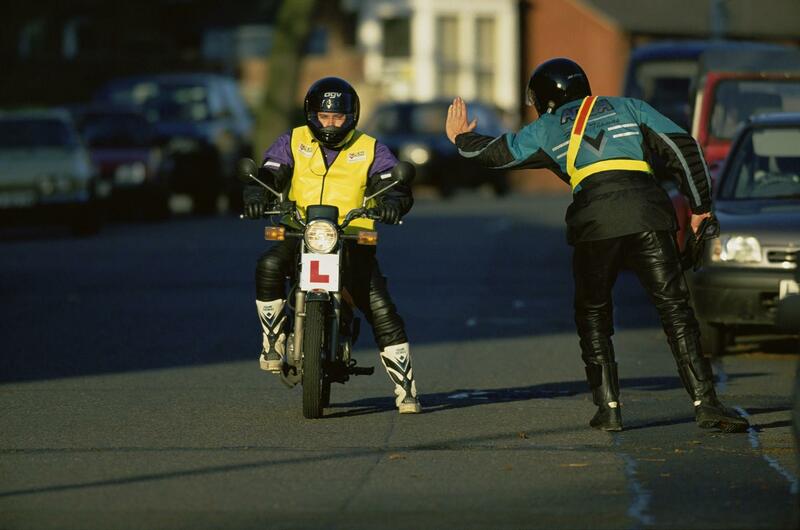 What’s the path to the full UK motorbike licence? Practical test: how do I pass Mod 1? Practical test: how do I pass Mod 2? What are A1 and A2 licences? 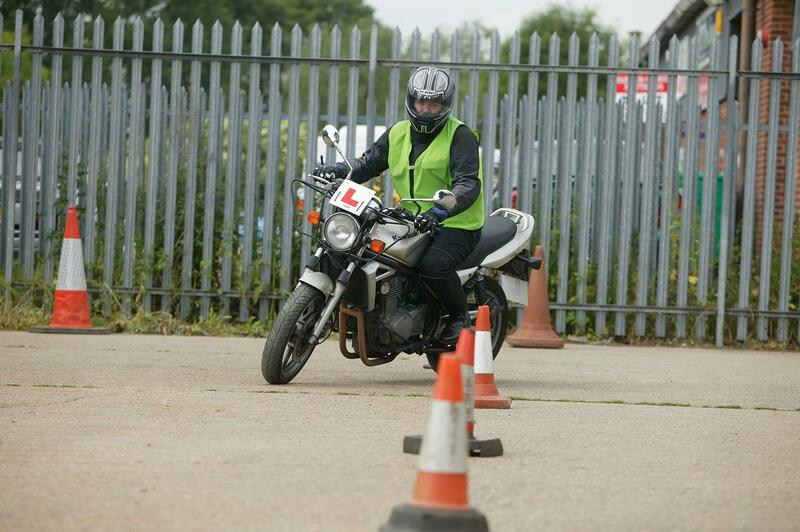 How can I train for a motorbike licence? Should I do a Direct Access Scheme course? Two documents are needed to ride a motorcycle legally on the road as a learner: a provisional motorcycle licence and a Compulsory Basic Training (CBT) certificate. These will entitle you to ride a motorcycle or scooter of up to 125cc and 14.8bhp (11kw). You must display L-plates and cannot use the motorway or carry a pillion. A provisional licence is obtained by completing an application form from the Post Office or online. You must be at least 17 years old to get one for a motorcycle. At 16 years old you can get one for a moped, defined as having an engine of no more than 50cc and a top speed no greater than 30mph. If you’ve got a full car licence it should already include provisional motorcycle entitlement. To make sure, check your licence for provisional entitlement to vehicle category A. If you obtained a full car licence before 1 February 2001, you can ride a moped without a CBT certificate. Otherwise, before riding either a moped or motorcycle on the road you’ll need to find a CBT course taught by an approved training body (ATB). The course consists of practical training at the ATB site and on the road. It costs £100-£135 and most ATBs provide motorcycles and helmets. On successfully completing the course you’ll get a CBT certificate valid for two years. Your next step is to pass the theory test. If you’ve read this far, you’re obviously made of the right stuff to be a biker, so keep going. 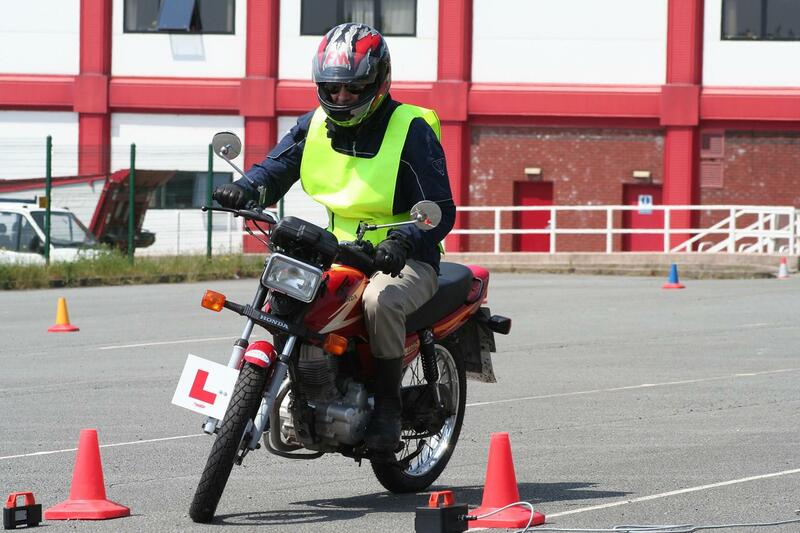 To get a full licence you have to sit a number of theory and practical riding tests, each consisting of two parts. You will qualify in a series of steps, known as ‘staged access’ and, depending on your age, you may be able to skip certain parts in what is called direct access. To see which route you qualify for, check the official licence guidlines. If you're 17-18 years of age, you can sit a theory and practical test for a full motorcycle licence, enabling you to ditch your L-plates and ride on the motorway. But you will only hold an A1 licence which limits you to 125cc and 14.8bhp – the same power and capacity limits as before. Alternatively, you can hold on to your CBT until you turn 19 and then take a two-part practical test to qualify for an A2 licence. This will limit you to 47bhp (35kw) and no more than 0.26bhp per kilogram (0.2kw/kg). Once you’ve had an A2 licence for two years, you can take another two-part practical test to finally get your A licence to ride any bike you want. This makes the minimum age to qualify for an unlimited bike 21, so long as you have the relevant experience. Alternatively, if you are 24 or over, can take one theory and practical test for an A licence. The theory test involves multiple choice questions and a hazard awareness exam using video clips. Both parts are taken using a computer and it costs £23. The practical test consists of a manoeuvres exam at a test centre (Module 1) and an on-road exam (Module 2). They can be booked separately or together but must both be passed within two years of the theory test. This excellent video by ART Motorcycle Training shows new riders exactly what happens during the practical Module 1 off-road motorcycle test, helping reduce the fear of the unknown! Once you have completed the test, your examiner will tell you if you have passed or failed having made note of dangerous faults (those that involve danger to you, the examiner or the public or property), serious faults (which are potentially dangerous) or riding faults (which aren’t potentially dangerous, but could become serious if you keep on making them). To pass Module 1 you must have no serious or dangerous faults (these are sometimes called major faults) and no more than five riding faults (often called minor faults). If you pass, the examiner will tell you what faults, if any, you made and give you a pass certificate. You will need to take this with you to your Module 2 test. If you fail, you will need to rebook your Module 1 test and pay again, waiting at least three working days from the date of your failure. If you have already booked your Module 2 then you may need to reschedule this as well and be aware that you will lose your fee if you don’t give three full days’ notice. 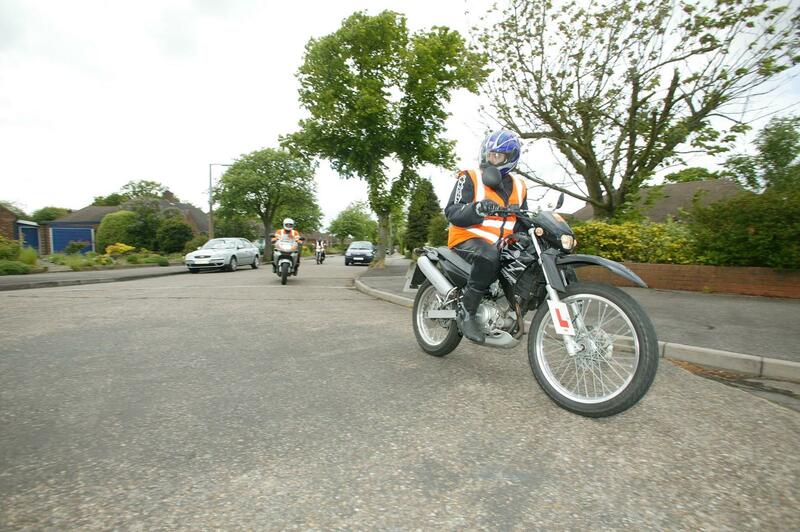 Module 2 of the practical motorcycle licence concerns more advanced manoeuvring. It takes around an hour and begins with an eye test – you’ll need to prove you can read a standard numberplate from 20.5 metres away (or 20 metres if it’s a new-style numberplate), as will have been checked when you did your CBT. You’ll then be set a number of questions about motorcycle maintenance and safety. A road drive of around 30 minutes follows. This should include a variety of road and traffic conditions, along with a range of situations such as angle and hill starts. The test takes place in full radio contact with your instructor, and will include 10 minutes of independent riding to assess your ability to follow instructions and/or road signs. At all other times the instructor will tell you which way to go, and don’t worry if you take a wrong turn – this isn’t a test of your navigational skills, it’s more about how you perform on your bike. How much do the Mod 1 and Mod 2 tests cost? Module 1 will be £15.50 and Module 2 costs £75 on weekdays or £88.50 for evenings and weekends. The whole shebang including training can come to around £700. There are still important decisions to be made. First of all, it’s important to note that a practical test taken on a twist-and-go automatic will only qualify you to ride twist-and-go automatics. To ride motorcycles with gears, you need to take the test on a geared bike. There are three sub-categories of bike you can use for your test. That category will affect the sub-category you can ride after you have got that specific licence. You must use the same sub-category machine for both test modules. A practical test taken on sub-category A1 bike, which is a motorcycle between 120cc and 125cc, that has no more than 15bhp (11kw) and is capable of at least 55mph, will get you a category A1 'light motorcycle licence'. You’ll be restricted to bikes with a maximum engine capacity of 125cc and power output of 15bhp. 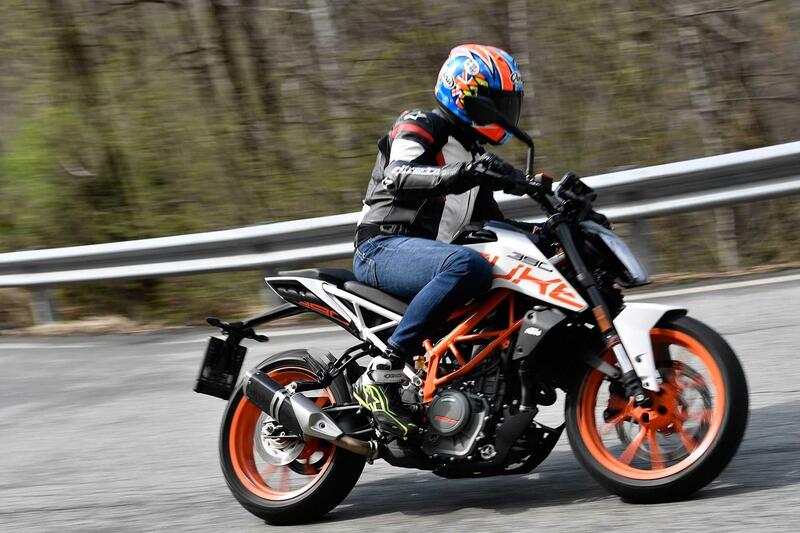 Examples include the Honda CBR125 and KTM 125 Duke. You’ll be able to use motorways or carry pillions and can remove your L-plates. To get an A2 licence, you’ll need to use a bike that’s at least 395cc, produces between 35bhp (25kw) and 47bhp (35kw) and has a power to weight ratio of no more than 0.26bhp per kilogram (0.2kw/kg). A bike that fits those regulations out of the crate is the Yamaha MT-03 or KTM 390 Duke but a lot of bikes with sufficient engine capacity to comply have to be restricted to fit sub-category A2, including the Kawasaki ER-6F and Suzuki GSX650F. If they are restricted, the normal unrestricted power can’t be more than double its new restricted power. According to the Driver Standards Agency, if you intend to use an A2-restricted motorcycle, you must bring proof of the restriction to your test, or it will be cancelled. It must be on headed notepaper from a main dealer, official importer or recognised specialist, and must show the motorcycle’s registration number. A dyno test certificate will not be accepted. Finally, a category A unrestricted motorcycle must be at least 595cc and deliver at least 54bhp (40kw). If the sheer complexity of those choices and hurdles has given you a headache, don’t worry. Whichever route you take you’ll need training and a decent school will guide you through the process from start to finish. 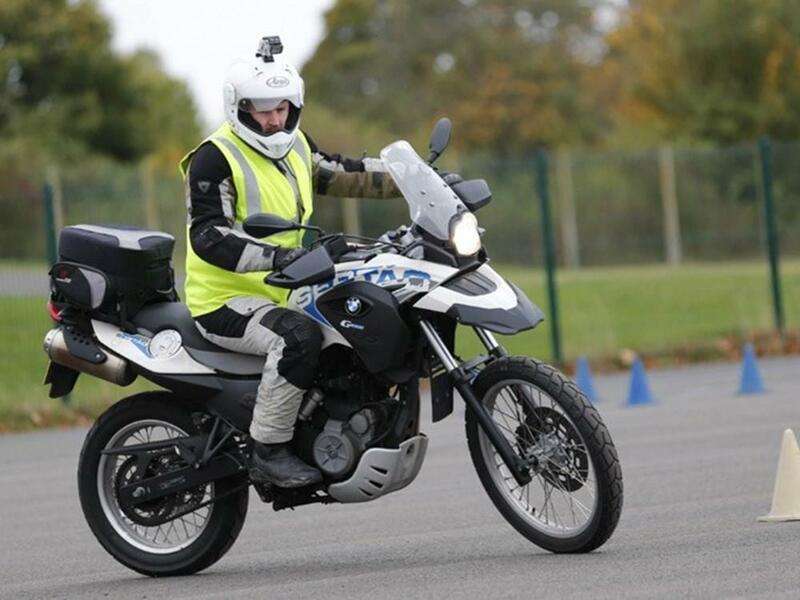 Many will provide everything from CBT to a place on a practical test in a package tailored to get you whichever type of bike licence you need. If you're over 24 and have good experience as a car driver or similar, then you might consider a Direct Access Scheme (DAS) course to complete your conversion to full motorbike licence. These courses can be as short as four full days, and can cost well into four figures. Shop around and talk to some schools before embarking on such a scheme, and ideally find some customer reviews before taking the plunge.